Price fact: The price is 26 £ higher than the average over the last 10 weeks. Price fact: The price is 4.01 £ higher than last week. 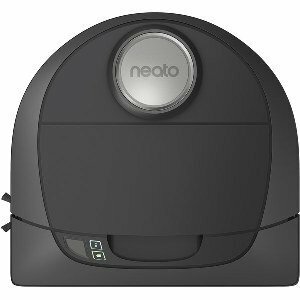 The Neato Robotics Botvac D5 vacuum cleaner features connected Wi-Fi technology and a large dustbin for pet hair and nasty allergens. 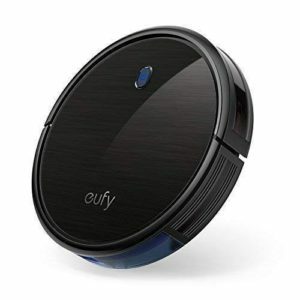 The clever features of this robot vacuum provide you with ultimate control from your phone, with the dedicated Neato app used to stop, start, or schedule events. The Botvac D5 features an innovative D-Shape design with a side brush and powerful suction. The combination of automatic multi-room cleaning and navigation scanning technology allow this robot to clean your floors without wasting time and bumping into furniture. The Neato Robotics Botvac D5 vacuum cleaner features a powerful lithium-ion battery that supports 61 watts and 14 volts. Neato’s advanced navigating technology allows the robot vacuum to cover up to 4500 square feet per cleaning cycle. One cycle is three cleaning runs, with the battery lasting between 60 and 180 minutes depending on the application. This unit comes with its own docking station and goes back to base to recharge and resume until the job is done. The Neato Robotics Botvac D features advanced connectivity options that allow you to control the robot anywhere at any time from your phone. Not only can you use the Neato app to control the robot, you can also access summary information to see where the Botvac has been. Intelligent cleaning is made easier with advanced laser floor plan mapping and navigation, with SpinFlow technology using powerful suction and precision brushes to leave your floors clean from pet hair and allergens. The Neato Robotics Botvac D comes with its own automatic docking station. Other features include the D-shaped design, LaserSmart Navigation Scans, combo brush, three ultimate performance filters, and a large 0.7-litre dust bin. The Neato Robotics Botvac D5 vacuum weighs 7.16kg and has product dimensions of 58 x 42 x 15cm. This model is available in black.